Our story begins with the evangelist Dr Billy Graham. As he started preaching internationally, he developed a passion to ‘unite all evangelicals in the common task of the total evangelization of the world’. 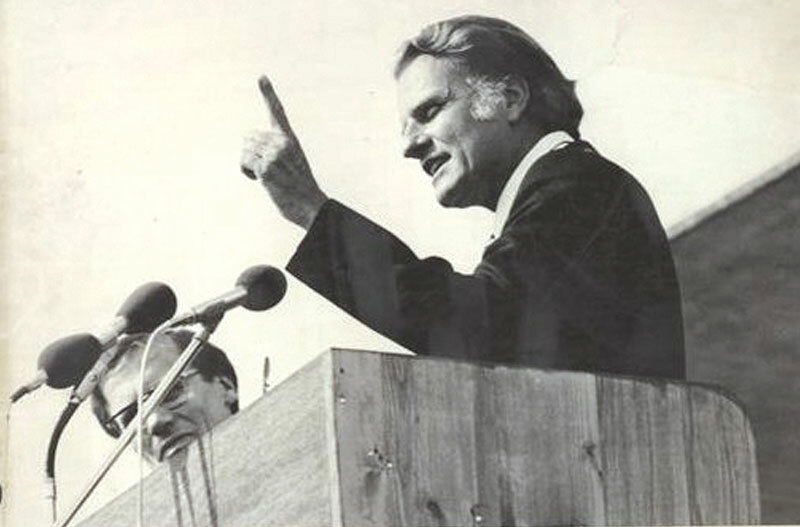 In the 1970s, Billy Graham perceived the need for a global congress to reframe Christian mission in a world of political, economic, intellectual, and religious upheaval. The church, he believed, had to grasp the ideas and values behind rapid changes in society. In July 1974, over 2,400 participants from 150 nations gathered in Lausanne, Switzerland, for the First International Congress on World Evangelization. TIME magazine described it as ‘a formidable forum, possibly the widest-ranging meeting of Christians ever held’. In his travels around the world, Billy Graham met many leaders who were disconnected from each other. He felt called to bring these leaders together, thus beginning a movement of connections marked by a spirit of humility, friendship, prayer, study, partnership, and hope, which Graham called ‘the spirit of Lausanne’. It is in this spirit that world congresses, global gatherings, and issue-specific forums and consultations have been convened for over 40 years, resulting in numerous connections, initiatives, and resources. On 21 February 2018 at the age 99, Rev Billy Graham went to be in the presence of the Lord. This special video provides a window into his legacy, anchored around the clarion calls he issued at the First Lausanne Congress in 1974 and encompassing clips from his crusades to all corners of the world.